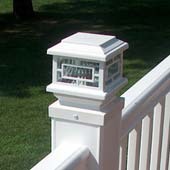 What Are Your Outdoor Deck Lighting Options? I find that an outdoor living space like a deck can really benefit from some very simple lighting tricks. 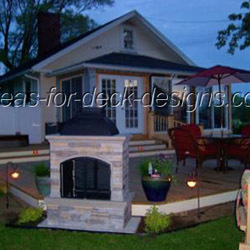 This will turn your backyard deck into a space with two distinctive personalities - but in a very good way! During the day, it looks as it should. The physical layout and the structural components of it are the focus. Then when darkness falls, another side appears. 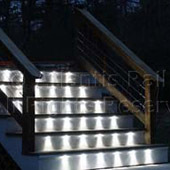 Stair lighting adds safety and beauty. Posts are highlighted. Top rails stand out. 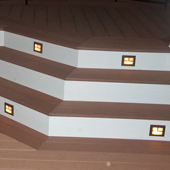 There are many different ways that you can accentuate your deck - whether it be by installing simple lighting grates in every other riser of your stairs. Or you may find running a strand of bulbs in a grooved channel under the nosing will set your deck apart. Illuminating them in various different ways can really do the trick. You will see examples of that in the articles that follow. 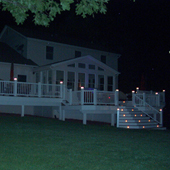 Outdoor lights will transform your deck! Pick and choose the style of lighting for your deck and learn whether one type is better for your home or not. 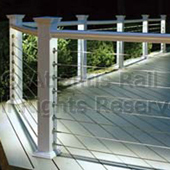 From low voltage deck lights, solar, post, rail or pathway solutions, you will find it here. You may find the indirect illumination of a post base light, under rail or pathway light system is a subtle touch that gives you the right ambience. But as you will see in the follow up articles, there is virtually no limit to the lighting possibilities.